Hire the top 3% of iOS app development experts. 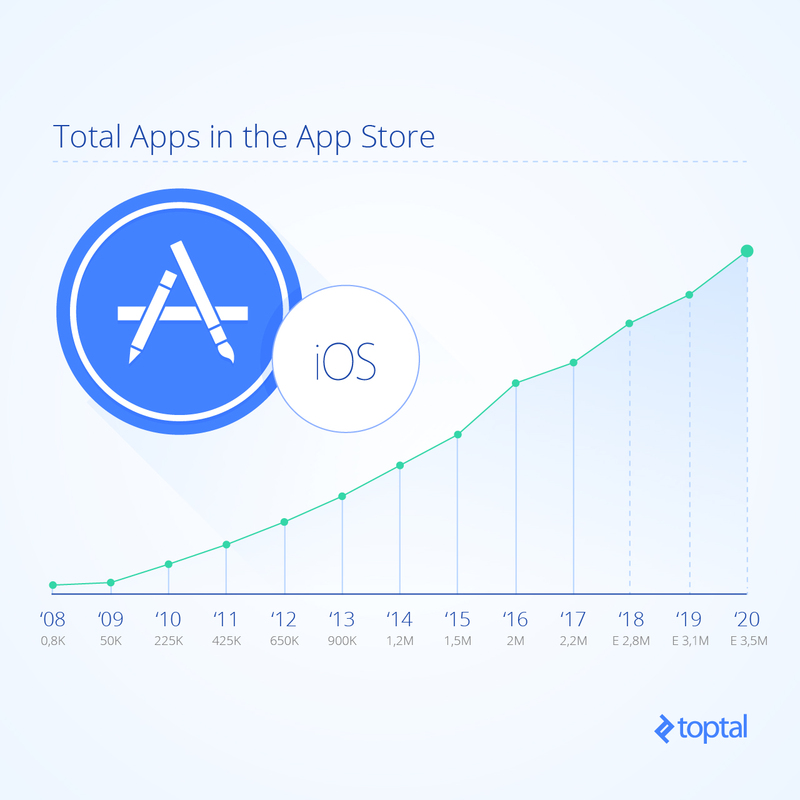 Toptal is a marketplace for top iOS development services. Top companies and startups choose Toptal’s iOS app development services for their mission-critical software projects. Toptal helps you hire proven freelance mobile app developers on demand. See why top companies and startups trust Toptal to hire elite iOS app development experts. Toptal is a marketplace for top iOS app development experts. Top companies and start-ups choose Toptal freelancers for their mission-critical software projects. Nikita is an iOS developer/Adviser working with Objective-C and Swift. Besides writing code by himself, he also takes a technical lead in project to work as mediator between developers and business owners. He has a client-oriented approach, provides clean code, uses cutting-edge technologies, and helps your business to evolve. Ryan is a senior level iOS and web developer with a strong passion for creating amazing user interfaces and experiences. He's very comfortable working anywhere in the development stack and has 10+ years doing it. He's well spoken and very easy to communicate with, is quick to respond, and excels at figuring out optimal solutions for any challenge you present to him. Ryan has an entrepreneurial drive and understands the challenges startups face. Jason is a software engineer with a master's degree from MIT focusing in computer graphics and vision. He has been employed at Lockheed Martin, PayPal, and Fitbit as a software engineer. He's worked on many freelance projects like Mole Detective (Mole Detect), WearReader, Minecraft.Print(), 3DEchosght.com, and dataTHRESH. Jason has a range of experience working with various types of tech: Android, Windows, iPhone, and computer vision. Pontus is a passionate iOS engineer with a big interest in mobile application and design. He loves working with strong teams to build great products and solve complicated problems. With his extensive knowledge of the iOS SDK, he has created a range of applications, from complex business and banking apps to advanced 2D games. His programming style can best be described as creative, thorough, and team-spirited. Davor is an advocate of Agile methods, and he is typically involved in every project stage from planning and architecture to coding/testing. He easily transfers know-how to team peers, while thinking both strategically and out of the box. Vladimir has been a professional developer for eleven years. Most recently, he's been focusing on augmented reality (AR), computational design, and computer graphics. He has architected complex software systems, done UX design, led teams, and spoken at conferences. He values simplicity and efficiency and loves working on interactive products no matter the platform. Dr. Karvetski has ten years of experience as a data and decision scientist. He has worked across academia and industry in a variety of team and client settings, and has been recognized as an excellent communicator. He loves working with teams to conceive and deploy novel data science solutions. He has expertise with R, SQL, MATLAB, SAS, and other platforms for data science. Milos has worked on various projects in his career. Starting from Android and iOS applications to cross-platform C++ development on games and applications. He has a lot of experience in different spheres of software development. from initial conceptualization to architecting and developing, and then to finally delivering the product to consumers. Everyone wants to build a nice-looking, crash-free and successful mobile application, like Uber, Lyft, WeChat, WhatsApp, Instagram, Snapchat, Spotify, or Yelp. Everyone wants to hit the market huge like Candy Crush, Uber, and Pokemon Go. We’ve come a long way since Steve Jobs’ initial ban on third-party iPhone apps. In one recent peak period there were half a million new apps published in the App Store over the course of a year. That’s nearly 1,400 apps per day! But how many apps become successful among them? We don’t know the exact figures, but it’s obvious that only a very tiny number of them stand out because the general public becomes aware of only three or four new app names per year. And you want to be one of them? 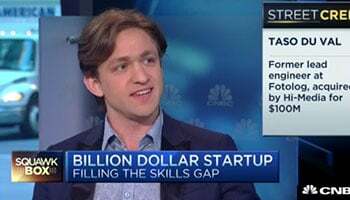 Then you must find outstanding developers—niche developers who are experienced, skilled, and detail-oriented—to turn your idea into a real app. You may have an amazing idea that will startle the market. You may graphically design it to perfection with beautiful colors and fascinating layout. But those are all useless unless you get a developer who will bring it to life. Without an expert in iOS development, it’s just a well-built robot without a program written to its memory. But people usually make mistakes in finding and hiring the right iOS engineers. Let’s find out what some of those common mistakes are. 1. Many years of experience don’t always decide the developer’s skill. Clients often fall for the number of years of iOS app development experience that developers say they have. But the number of years of experience cannot be the only criterion with which to compare developers. You should find a developer who has decent amount of professional programming experience (five or six years maybe). But you cannot really say the developer with ten years of experience can be better than one with six or eight years of experience. One thing you should know is that a developer is not just a programmer. Developers must fully understand software engineering and the software development life cycle (SDLC.) They must be a system designer and a programmer at the same time. Also, a long time spent coding doesn’t necessarily make a good developer: It’s difficult to achieve a good level of programming skill by coding alone. A developer should study others’ code and should take a systematic approach. Then how would you find out whether the developer is actually good or not? First, find a developer who could explain to you what the SDLC is and what are some good methodologies to follow (e.g., Waterfall, Spiral, or Agile). Ask them why the requirements gathering and testing phases are so important. This way you will be able to easily find out if they would be able to manage iOS development in a systematic and effective way. Second, find developers who have developed at least one successful application—that is currently in the App Store—from the beginning all by themselves. Successful doesn’t have to mean 10,000 ratings. Even a good-looking, fully functional app with less than 100 ratings is fine. The developer will know how to start, how to structure the system, and how to deliver the product. They will know the most popular libraries and best practices, what to test, and Apple’s dos and don’ts when publishing apps. Third, find a developer who has worked on a big project for at least six months, or preferably at least a year. The developer will better know how to make a codebase maintainable, because they’ve been through the struggles of maturing and scaling an application. And lastly, find a developer who has experience working in a team, because they will know how to work effectively with other developers. If you are lucky enough, they could lead your future team. One thing to remember is that developers with 10,000 reputation points on StackOverflow or with thousands of stars on an open source repository on GitHub are usually good. You can ask them if they have their own open source repos. Lastly, before hiring, start a paid test project, and you will know the developer’s skill in a week or so, so you won’t have to assume based on their resume. 2. Style and comments aren’t that important…Are they? Ask the developer for sample code and check for the comments/documentation and the coding style before hiring. Good developers are strict about coding style and those developers with good coding style usually provide high-quality code. And high-quality code means less crashes. Here, good coding style is difficult to build in a second. It comes from the practice and experience of lots of developers—e.g., whether to use snake or camel style for variable names, which does actually have an effect on your code’s readability. As you would expect, commenting is also very important because it’s a part of the code, not kept in a separate document. Developers with good commenting habits put useful comments in appropriate places. They don’t put comments on obvious parts of code. But they also don’t forget to put comments for the parts of code that are difficult to understand or have been copied from somewhere else like StackOverflow. These are all part of an expert’s habits. They can only be gained from practice. In short, quality is a habit when it comes to coding. 3. Are expensive developers always better than less expensive ones? Yes, it usually holds true. But it may depend on the places where the developer lives. Cost of living differs from place to place, country to country, and continent to continent. This affects a developer’s hourly rate a lot. You can find a great developer in Eastern Europe or in Asia at a comparatively lower hourly rate than in the US. Of course, this does not always hold true. There are plenty of stories of people having been burned by developers in lower-cost areas. Likewise with higher-cost areas. Making an assumption on either extreme of the scale isn’t very wise. You should examine the developer before hiring. 4. Should a developer without team experience practice on your team? We already mentioned that coding style and comments are a really important aspect of code quality. This is especially true while working in a team environment, because developers from different places and with different experiences are contributing to the same project. If developers don’t write code in the same way, agreed beforehand, it’s very difficult to read it later, or maintain it. Think about the case where a developer eventually leaves a project and you cannot find them again. If a standard coding style is conformed to, and there are proper comments, the code can be maintained or altered easily by other developers. Any developer who has ever worked in a team environment knows the importance of keeping consistent coding rules. But those who have always worked alone don’t know what to keep. Of course, they may gain experience and get better as time goes by, but it would be better if the developer already has team experience, wouldn’t it? Also, those developers with team experience already know how to collaborate, how to do pair coding, and how to help each other. They know how to get a better result working together compared to times spent working all alone. So ask the developer about teamwork experience during the interview. Open-source collaboration is also something you can check on, and then you also get a sense of how they tend to communicate with team members. 5. Is experience only with iPhone apps enough? …or is Android or web development experience also required? There are lots of job posts that ask only for experience in iPhone app development (Objective-C or Swift, or both) when in need of an iPhone app developer. Do you think iPhone app developers do not need to know about Android and web development at all because iPhone apps just consume the APIs provided by the back-end team and you are not going to let them to develop your Android apps? You are probably right, but think about this. Let’s say there are two iPhone app developers. Developer A knows only about iPhone programming. Developer B knows about not only iPhone programming, but also web programming. Of course, A will be able to write the code that communicates with the back-end, but it will likely differ from what B would write. A will just write the code to get the server response, parse it, and return to the caller. But B’s code will handle different kinds of server responses for all the possible HTTP status codes, such as 200, 404, 500, etc. Developer A will just use the API provided by the back-end developer. But Developer B could discuss with the back-end developer how to improve the security of the API call, how to make the API call more efficient, and how to handle errors. This will apply the same for Android. If the iOS developer knows Android development, they will be able to structure the code so that it can be reused with Android as well. To sum up, if the app developer you are going to hire has full-stack knowledge, they will be able to write solid code. 6. Does the developer have experience relevant to your particular industry? This may be an obvious topic, but sometimes one that is forgotten. If the iOS developer already has developed a similar app or at least an app in the same industry, they will be able to understand the requirements more easily, suggest something better from their past experience, and produce a result that’s more appealing to your clients. For example, suppose you are going to develop a real estate app, and the developer you hire does not have previous experience with app development in this industry. You will need to explain to them all the industry terms such as MLS listings, multi-lease, HOA (Homeowner Association), etc. before the actual development starts. Have you ever thought about how difficult and stressful it would be if the developer you are going to hire does not understand your requirements? That’s why developers with similar experience are always preferred. 7. Are you using recruiters who are not technical? Recruiters who are not technical should definitely not have the final say in hiring your developer. Such a recruiter cannot examine the developer’s code, knowledge, or skills. How could they be sure to find a good developer, then? A recruiter without technical knowledge might be able to find a good person, but probably not a good developer. If you’re not in a position to ensure this yourself, you may hire someone who is not ready for your project. But even if you are, the extra vetting you have to do at your end that could have been done by a more specialized recruiter just delays hiring the right developer. 8. The developer’s knowledge of multithreading and data persistence are crucial for iOS development. Here we assume that you are going to develop a big, complex app, not a small, simple one. Data persistence is a vital part of the iPhone app. Mobile phones cannot always have an internet connection. It may have a wifi connection, cellular data connection, or no connection at all. Thus, the mobile app should be able to work offline as well. And even if it’s online, it’s always better to show what’s locally available so that users won’t need to wait until the new data gets loaded. This is a basic UX requirement in mobile app development. And this is achieved using data persistence. The developer might store a small amount of info in NSUserDefault, but they should know that that should not be used for large amounts of data. Core Data and Realm are frameworks that make data persistence and data presentation easier and provide mechanisms for efficient memory management and in-place schema migration. Core Data is a built-in framework provided by Apple. Realm is a mobile database: A replacement for Core Data and SQLite. Nowadays Realm has become popular due to a dramatic improvement in the speed of CRUD (Create, Read, Update, Delete) operations. Another good thing about it is that it supports Android as well, which means you can use the same structure for iOS and Android both. But without understanding multithreading, a developer cannot properly make use of Core Data or Realm since data persisting and consuming operations need careful management when being used in multiple threads at the same time. Here’s an example of why it’s important to use threading correctly. Let’s say you need to receive 10,000 JSON records from an API, import it into your local database, and update the UI with the new data. If you import these new records on the main thread (i.e., the UI thread), the UI will be stuck and the user won’t be able to use the app while the import is in progress. If you do this kind of import regularly, or for many pages in the app, will users be happy with the app? No. They will report to you (and the world!) that it’s unusable. That’s why you should process this kind of large import separate from the main thread. This technique can be used for other types of time-consuming jobs, too. Now you see the importance of multithreading and data persistence. If the developer does not know about them, they might be a novice or a junior when it comes to iOS development. Even a pixel or a difference of one value in RGB makes the UI feels different. But even a really detailed developer could produce something different than the actual design or the idea. Then what about the careless developer? You will end up having a completely different app than what you have thought of. Of course, it will be better if you are strict when testing the result, but it’s always better to see something perfect than asking for changes and rework. 10. Does the developer stay up to date? Even great developers should always keep current with industry changes and other news. Technologies are advancing every millisecond and time is flying like an arrow. Apple releases a new version of iOS every year. Swift is getting updated alongside it. Lots of new technologies that support mobile app development are being released every day. Objective-C libraries are becoming obsolete and developers open-source awesome Swift libraries to help others and/or show off their skills. If an iOS developer doesn’t study new technology enough, their knowledge will soon become obsolete, together with the old libraries they have been using. Ask developers how they keep themselves up to date with the latest technologies, languages, and libraries. They should be able to carry on a conversation with you about what seems the most promising or relevant in the field of iOS app development. For example, iOS Dev Weekly is a good journal. It’s worth taking a look at it to prepare yourself to assess a candidate’s engagement level. Take time to make sure they’ve got it all. Hiring is usually a stressful and time-consuming process. But this is the process to find a person who you are going to rely on entirely for your iOS app development and who could bring you a fortune. Changing your developer amid development is costly. It will result in a loss of time, loss of money, and for those apps where release time is vital, it becomes a real pain. Don’t rush too much when looking for a developer: Take your time and try to find a good developer from the start. Study the mistakes made by your predecessors and evade them as much as possible. Happy Hiring!